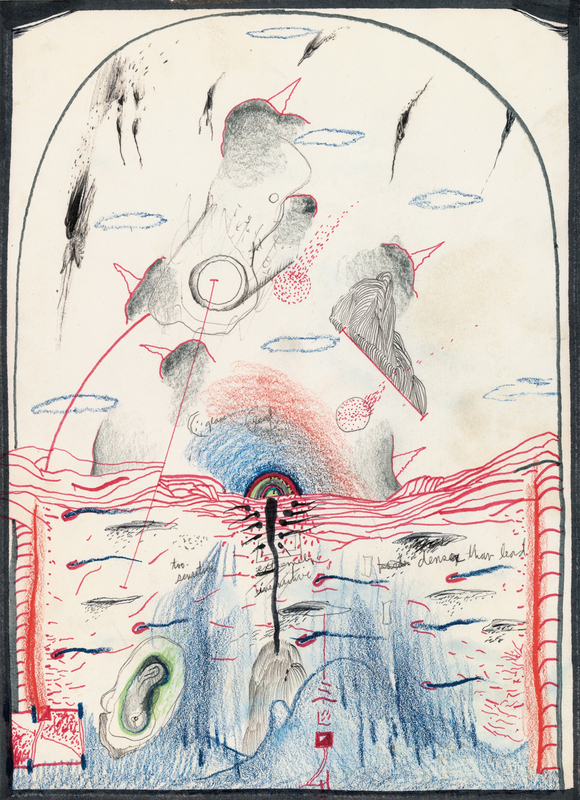 Maverick filmmaker David Lynch's collection of drawings, Works on Paper, reveal something about his creative processes. 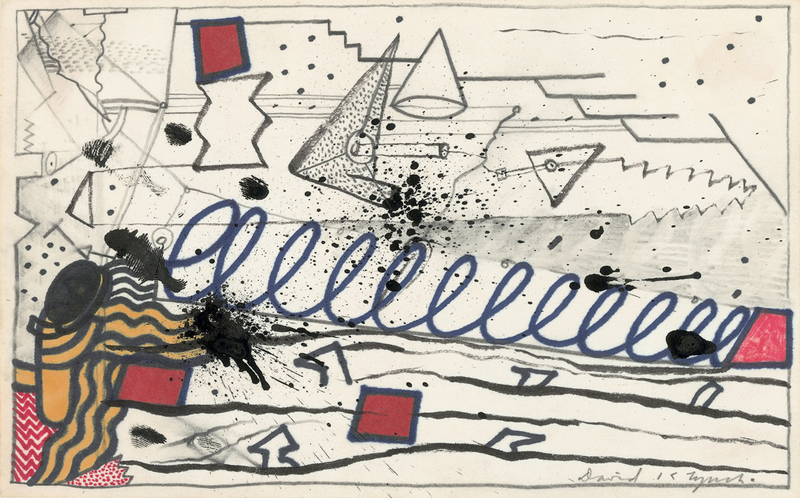 While he’s best-known for his cult-classic films like Twin Peaks, Eraserhead and Blue Velvet, David Lynch has another lesser-known creative interest, drawing. 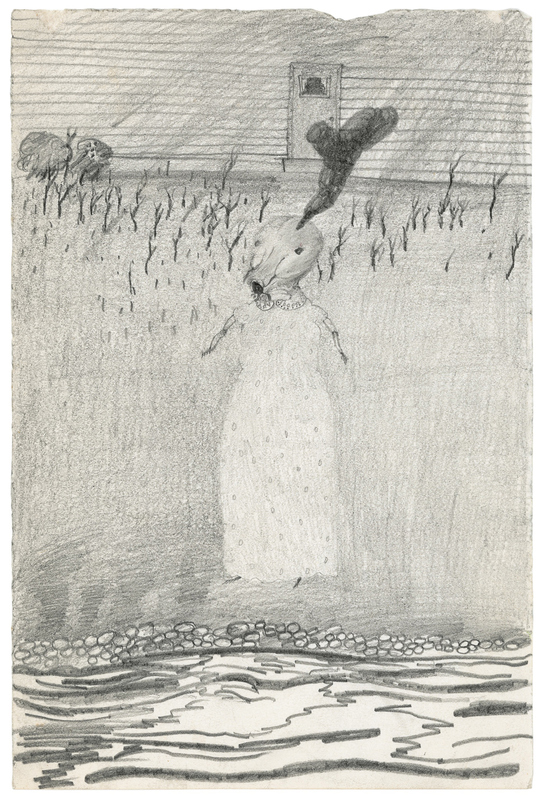 Steidl publishers presents Works on Paper, a collection of drawings by Lynch. The book includes more than 500 drawings, doodles, sketches and watercolours by the filmmaker, with some of them dating to his adolescence in the 1960s. Something of a surreal visual feast, Works on Paper is a must for Lynch fans. The artist used various media on which to create his drawings, including Post-it notes and serviettes. There’s a look at some of his to-do lists, as well as the original screenplays for Blue Velvet and Twin Peaks. Lynch’s artwork was first unveiled to the general public in March 2007 by the Fondation Cartier pour l’art contemporain in Paris. Works on Paper offer a unique glimpse into Lynch’s creative working process. All images: David Lynch, untitled, undated.